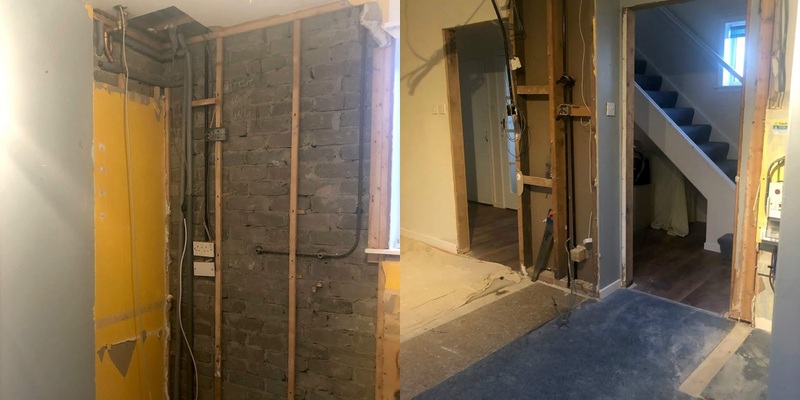 One of the things I said when we moved into our house in October 2015 was "I'd love to knock this wall down and have a bigger kitchen." This was obviously greeted with eye rolls and laughter from my then boyfriend. Fast forward to October 2018 and my now husband and I were visiting a few different kitchen showroom and designers to see exactly what our space could be transformed into. It's taken a long time but finally the new kitchen is starting to come together. 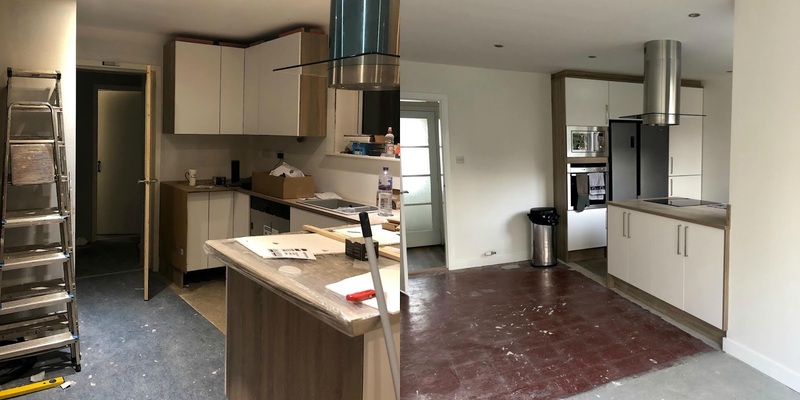 Back in September I shared what I had hoped would be possible and it took a long time to get from the first initial drawings to something we'd loved and more importantly could afford. The kitchen designer made quite a few suggestions and was open to us making changing and sharing our ideas. With our budget in mind she did a brilliant job to try and achieve exactly what we wanted and I love the end result. One of the ways to reduce costs slightly was to find our own joiner, plumber, electrician and decorator. We went with a joiner who is a family friend with their own business. They became the project leader, as such, as he coordinated the rest of the people needed. It's good to have someone you trust, someone who you can get a hold of easily and someone who will consult on the process with you because once some of the jobs are done there's no going back! We came across a few different hurdles - things that caused a little bit more work. 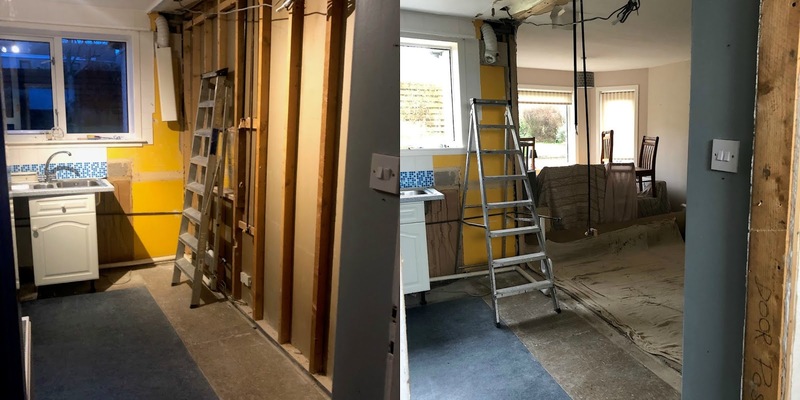 From the pipes that were hidden behind units that we had no idea were there, a rather large fuse and meter box, the door which was too close to the units, the new ceiling needed for our lights to be installed, the damaged worktop and the tap that wasn't long enough for our sink. These little things added to the costs slightly along the way and delayed the process ever so slightly, but nothing was too major to solve. One of our biggest cost cutters was buying the appliances on Black Friday. 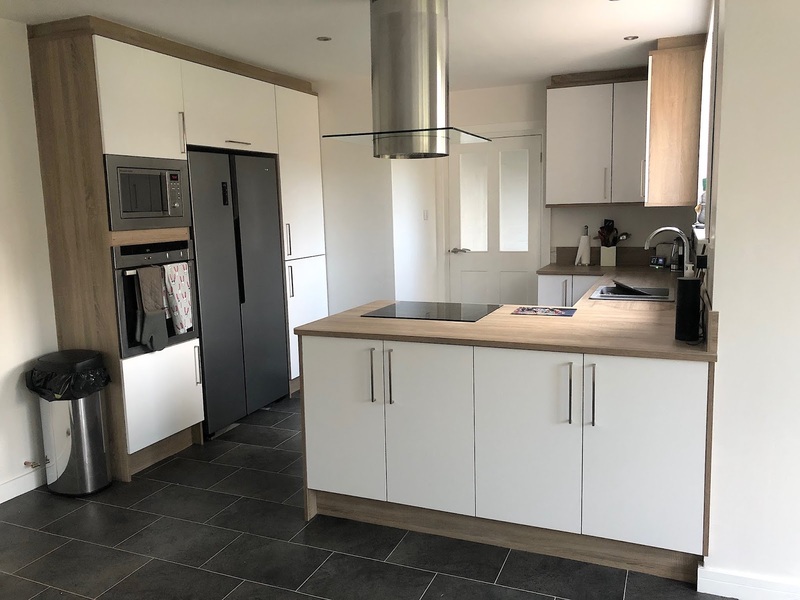 The timing wasn't exactly planned this way but we took the opportunity to save hundreds of pounds buying our American Fridge Freezer, hob, integrated dishwasher and built in microwave all on offer. 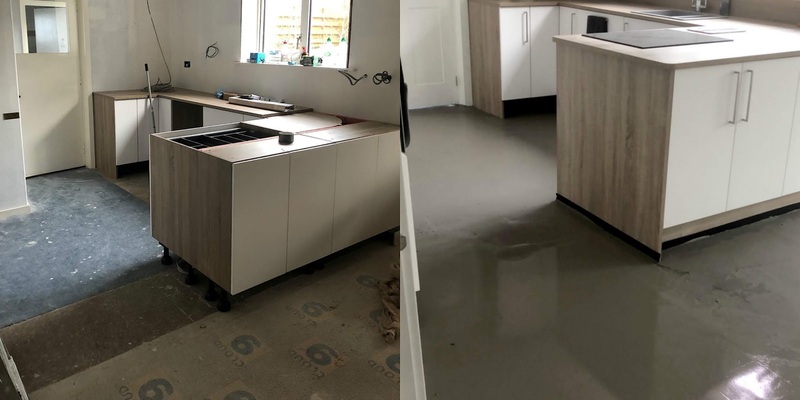 These savings allowed us to go for the kitchen design that we loved but also meant we had money to go towards another huge expense - the flooring. The flooring is the latest thing to be completed in the room. We've gone for Karndean flooring in Cumbrian Stone. It's amazing quality and looks stunning. We've got Karndean in our living room and hallway so knew it was worth the expense. Along with the flooring has been the decorating. We had a Painter/Decorator do the taping and filing needed when you get a new ceiling and plasterboard. When it came to the painting and glossing we did that ourselves (and from the help of our parents). 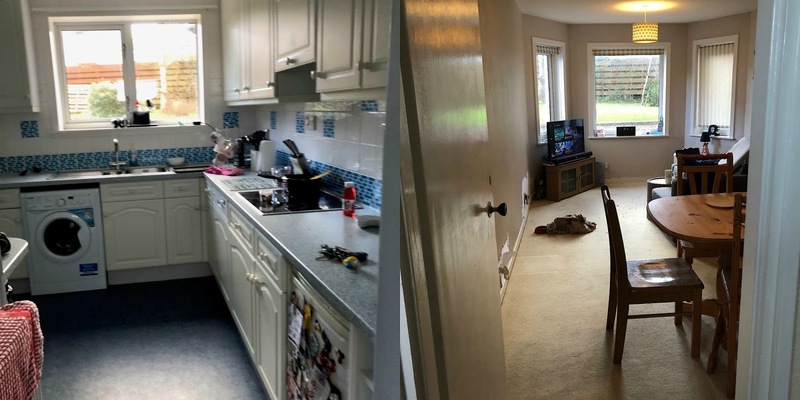 We've used White Whisper by Johnson's Paint on the walls and it's lovely to have a bright, fresh look to go with our new kitchen. We've had new skirting boards, door facings and doors in the room so all of these needed glossed. Next comes the finishing touches. We've ordered a sofa from DFS and a dining table from Harvey's Furniture. We're going to mount the TV and Xbox on the wall once the mounts arrive from Amazon. We've got pictures to put back up and a new clock for the wall. The blinds for all 4 windows have been ordered and should arrive in the next couple of weeks. All we've got left to find is a sideboard unit and the little decorations that make a house a home.